FONTANA HEIGHTS & CRYSTAL TOWER. Research supported by Asiahomes Internet. 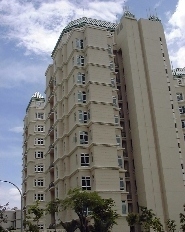 This report provides info on rentals of various PENTHOUSEs for expats relocating to Singapore. Be Kind to Pets. Any chance of a PDSA-type clinic for Singapore? for $15,000 - $20,000 downtown condos including Chelsea Gardens PENTHOUSE at $19,000. BE KIND TO PETS is a community education via internet service supported by Asiahomes Internet. Doberman Pinscher bought for $200. Hair started dropping 2 weeks later. The owner did not accept the advice to clip coat and antibiotics as the total cost of S$50 was deemed too much and it was 25% of the purchase price. He just drove off after a free consultation. In England in the 1970s, I remember a private veterinary surgeon volunteering one evening per week to work at the PDSA (People's Dispensary for Small Animals) veterinary clinic around Newcastle. the PDSA- type small animal clinic to promote the welfare of small animals which, otherwise, would not receive any treatment as the Owners could not afford the veterinary fees. The clinic would be meant for pet owners with "low income". What do you mean by "low income" in a developed country like Singapore? Would a Mercedes car owner be considered from the low income group? A Jaguar car driver brought in a dog for treatment on that evening in the PDSA clinic and his dog was treated. What's the means test in this case, I asked this English vet who always had a beer during lunch time. It was one of the questions in life with no answers. Nassim Mansion 4+1 5900 sq. ft , $19,000. Near Tanglin Mall & Orchard Road. 7 Nassim, 5+1 4200 sq. ft $18,000. Near Orchard Road. Over 4,000 sq. ft $16,000. Near Shangri-la Hotel. One year old. PENTHOUSE. Brand new. Near Shangri-la Hotel. Basement gym. Waterfall cascading down landscaped pool. Low density. CLICK thumbnail to see bigger image. 3+1 $12,000. Near Orchard Road. Completed around July 2000. 10th floor with one room on 2nd level and 2 bedrooms on lst level. 5-min walk to Somerset subway, Centrepoint and Orchard Malls. 3300 sq. ft $12,000, $14,000. Very easy to rent. 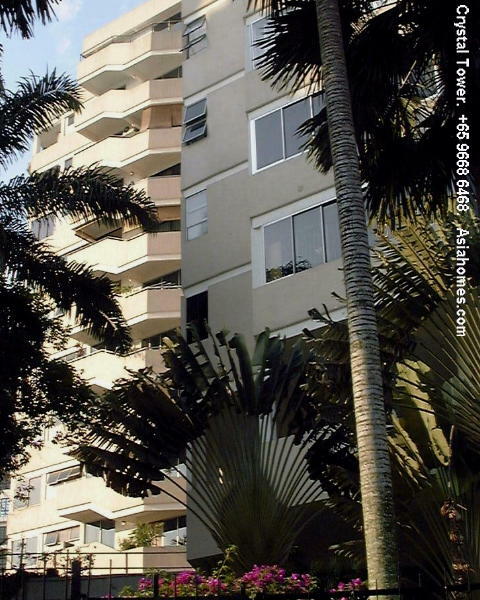 Great location and near a supermarket and shopping mall. One rented in April 2001 at $13,000. Near Orchard Road, Shangri-la Hotel, Caucasian enclave. PENTHOUSE 4,316 sq. ft $15,000. 4+1 1900 sq. ft, $9,000.ANDERSON GREEN. 4+1/3+1, 1,679 sq. ft . $9,000. PENTHOUSE 4316 sq. ft $16,000. BEVERLY HILLS 5+1. 3800 sq. ft $13,000. PENTHOUSE with roof top pool $18,000. D.09 MIRAGE TOWERS. 4+1. 2551 sq. ft . $8,500. PENTHOUSE. D.11 THE STERLING. PENTHOUSE. Near Sixth Avenue. PALM GARDENS . PENTHOUSE. 3+1 rms. 1900 sq. ft . 2 floors. #19. F/furnished. $3K. Light Rail Transport/ subway. HERITAGE VIEW. BRAND new PENTHOUSE $7,000. LAGUNA 88 PENTHOUSE. Brand new. 3+1+1. 2358 sq. ft . Pool view. Golf course. Suits expats who work at Changi Expo or near Airport. maisonette. 4+1. 2185 sq. ft .
amenities. Must sell! $320 per sq. ft.
OFF Yio Chu Kang Rd. sq. ft . 5+1 +5 baths. Sea view. ARDMORE PARK PENTHOUSE 8000 sq. ft $45,000. CRYSTAL TOWER. 8600 sq. ft. 6+1. Single level. $15,000. TRELLIS TOWERS PENTHOUSES $9,000 - $11,000. sq. ft . Duplex 5+1. sea view. 5148 sq. ft .
3520 sq. ft . 4+1. $3,300 AQUARIUS BY THE PARK PENTHOUSE. 1800 sq. ft . maisonette. HILLSIDE. 2647 sq. ft .
3207/ 2378 sq. ft .
5+1+1/ 5200 sq. ft .
Rd. 4500 sq. ft . 5 bedrooms. renovated. 3000 sq. ft .
was an upscale condo during its time. The condo has been upgraded but some owners have not upgraded the interiors. 4+1 3800 sq. ft $9,500. Near Australian School. Original brown coloured long bath from the developer, in one apartment. White enamel coated long bath in #10-01. 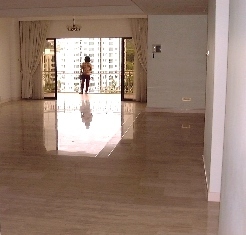 Large living area and separate dining area (right) with big balcony. This unit has lots of breezes, slamming the doors shut. 2700 sq. ft & 3300 sq. ft units. $15,000 CRYSTAL TOWER. 8600 sq. ft . 6+1. Single floor. Panoramic view. 4+1, 3300 sq. ft $8,000. 2 attached and 2 share a common bath. Newly renovated with new white ceramic tiles, white jacuzzi baths and new air conditioners. Balcony covered, so bigger living area. Older condos are more affordable but you don't get the marble flooring generally. Various units are for rent at various times. Not possible to update daily. 254 3326, 254 2728 to view units.